Protecting or safeguarding significant loss is called as Insurance. It is a type of risk protection and wealth management strategy as a part of financial planning for an individual or an organisation. “Insurance companies offering insurance products are termed as Insurance Policy”. In insurance policy insurer can cover cost of potential loss in exchange by paying insuring company nominal amount every year as a premium. Individuals, corporate or any other groups can safeguard their risk against any critical misfortunes at the reasonable rate know as premium. Mostly risk covers are required where huge amount or high risk is involved in it. If potential loss is small, you would not pay monthly or yearly premiums. Assume that risk of loss against Rs.6,500/- (or around $100) misfortune and such losses would not stop your business operations or impact your financial planning. Protection is necessary when you need to ensure against a high risk losses. Let us take an insurance policy example to understand better. Consider you are the only source of income person for your family. Loss of income which family would encounter as a consequence of an unexpected premature death. It would be extremely troublesome for your family to manage day to day needs since you are the only source of income for the family. Such kind high risk can be covered by insurance policy. Insuring by paying nominal monthly or yearly premiums. This will guarantee you that family will still get regular monthly pay check even after your death to your family for their day to day necessity. Life insurance protects your family in unforeseen situations like death or accidental death. Term life insurance is one of the types of life insurance for financial safety after your death will additional benefits. Health insurance facilitates you to insure coverage against surgical and medical expense. Disability insurance will insure you cover against physical disability for longer period with no productive work. Auto insurance facilities you to cover car or any vehicle against damages or accidents. Home insurance will protect your house against any damages like structural damage, fire, earthquake, etc. Travel insurance facilities you to insure losses occurred due to uncircumstances events during international or domestic travels. Protecting family from loss of income from premature death. Ensuring obligation repayment after death. Protecting business against the loss or disability of a critical employee. Buying out a partner or co-shareholder after his or her demise. Income protection insure from your job, business against unforeseen business stoppage. Protecting you against unforeseeable medical, health or hospital expenses. Protect your property from fire, thief, or any other natural calamities like flood, etc. Protecting assets against employee lawsuits. Protecting yourself in the event of disability. Protecting your car against theft or losses incurred because of accidents. Everyone on this planet insure in some form maybe it’s liability, auto, disability, medical or life insurance. Insurance policy is one of the best risk protection and prevention tool. Most of us take insurance for protection while large number of people do not understand what it is or how it functions. Selecting right sort of protection according to your needs is very crucial part of a great financial planning. Let us understand in next couple of tutorial sessions. » Currently Reading: What is Insurance Policy and Types of Insurance. Goood way of describing, and pleasant post to get information concerning my presentation topic, which i am going to convey in college. I was recommended this site via my cousin. I’m now not certain regardless of whether this post is written by way of him as nobody else recognize such targeted about my difficulty. You happen to be amazing! Thanks! Excellent post, very informative. I wonder why the other specialists on this sector tend not to understand this. You should continue your writing. I’m confident, you’ve a great readers’ base already! Thanks for sharing your thoughts on news. 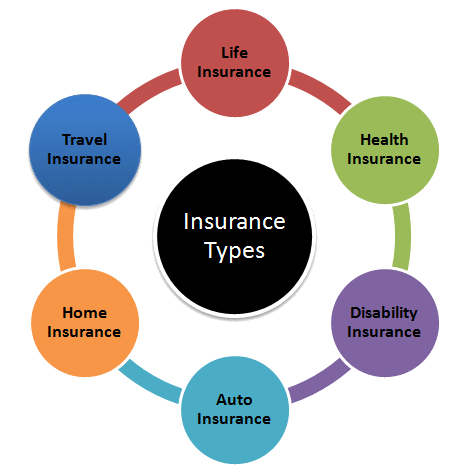 Well explained insurance policy definition and its types of policies. Warm Regards!